Cockroaches or specifically nocturnal omnivores can bite a human skin. Though they bite rarely but even a simple wound caused by them may last for up to a week’s time. Can all types of roaches bite? Yes, all of them are capable of biting. If they feel threatened they opt for being offensive rather than being defensive, and it is worth noting that some are more likely to attack than others. Additionally, they attack when they have a limited food supply due to their settlement in large groups or colonies. On the flip side, they are not likely to attack if there is an existing food source such as a garbage can or uncovered food. They are also efficient reproducers and can multiply in short periods of time and can easily form huge colonies. 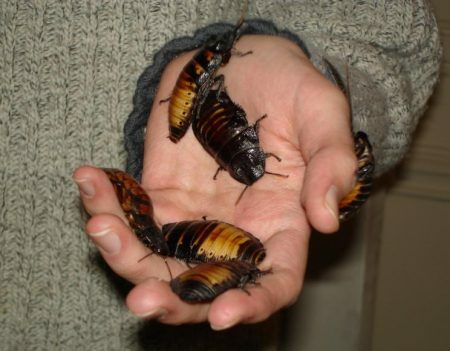 As a fun fact, German roaches are known to be among the fastest reproducing roaches. How painful is the bite? It all depends on the tolerance level of the recipient. One may initially have symptoms of slight pinch or twinge but the discomfort does not last long. The amazing thing is that cockroaches are able to generate a large amount of force when they bite. As per a UK based pest control exterminator, they are effectively capable of generating as much as an astonishing 50 times greater force than their own body weight. How does the wound look like? It is very easy to mistake a cockroach bite with a bed bug bite and other biting insects such as mosquitos, fleas, etc. But, there are a few subtle differentiating factors which can identify a bite of a cockroach from other biting insects. The wound left behind after a successful cockroach bite in contrast to bed bug bite is bright red in color, 1-4 mm wide and is a little hefty. Furthermore, there will not be a series of bites present as in the case of a bed bug attack rather a single wound would be visible. The wound from a cockroach bite may cause human skin to react and show signs of swelling and itching. And, if it becomes infected, it will lead to inflammation and outgrow in size. What are the remedies for a bite? But, why cockroaches are hated and feared so much? Although, they are tiny creatures occupied in the pursuit of gathering their nourishment but their swiftness, prevalence, and high immortality rates make them hated and feared amongst other insects as well human beings. There are as many as 4500 existing species of them on planet Earth and only 0.67 % of these are known to engage in missions in human-occupied areas. Cockroaches are further known to contribute to indoor endotoxins (common indoor biocontaminants) where various types of them contribute differently. And, cockroaches allergens are known to be a factor in causing asthma. They also spread disease-causing organisms to humans including salmonella, staphylococcus, and streptococcus. And, surprisingly they are feared more at the water than on land; cases have been reported where they numerously populated seafaring vessels and bit skin and fingernails of human souls on board (Periplaneta americana and the Periplaneta australasiae are likely to attack humans traveling via ships). How to protect yourself from cockroaches? How to get rid of them permanently? 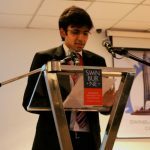 A bait in the form of liquid, gel or solid is used which contains toxins. After a cockroach has eaten a bait it will return to its nest where it is expected to defecate. 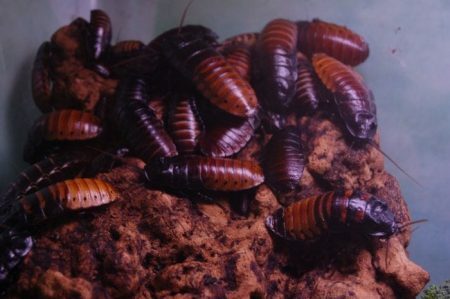 Other cockroaches are likely to consume its feces, saliva or carcasses if dead, and will thus be affected with the toxins as well. This approach creates a cycle which continues and has a proven track record of effectively killing colonies of cockroaches. Fumigation is a traditional way of killing massive settlements of cockroaches. Fumigation is simply the usage of toxic gases to kill cockroaches in an enclosed environment. Cyonara 9.7 is commonly used to fumigate cockroaches. The active ingredient is Lambda-Cyhalothrin and the chemical lasts up to seven months. Entotherm heat treatment is a chemical-free method of killing cockroaches. The process involves a targeted application of heat and it effectively eliminates all life stages (egg to adult) of a cockroach. The process supplies a heated air of carefully monitored temperature between 56˚C to 60˚C. The temperature is enough to disintegrate body of a cockroach but is safe for usage in buildings and does not cause any structural damage. This method has been practiced at and is well suited for hotels, restaurants, offices, etc. In a nutshell, roaches are no matter tiny but have been stakeholders in human lives, so it is important for us to be aware of them as much as possible. Knowing what to do if a bite occurs can help save time and cost of seeing a doctor if the matter becomes worse or leads to an infection. Cockroaches are prevalent and can dodge away death, and can easily create huge colonies. So, being cautious of them and keeping in mind preventive actions can help stay healthy. Basically, if one adopts strict hygienic measures; one can effectively avoid seeing cockroaches at all. But, it is important to never forget that they are nocturnal omnivores and can bite a human skin.